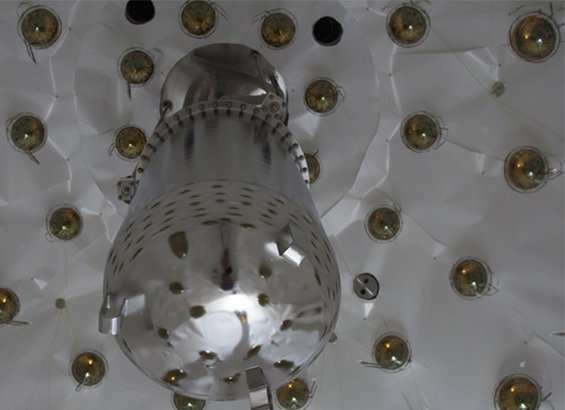 "If we are the experiment that finds dark matter, we can change the fundamental understanding of the universe as we know it," said UH assistant professor Andrew Renshaw. "We can really start to understand the fundamental properties of the universe - how we got from the big bang to where we are, and what the future holds." So the e/m field is a wave of the medium, not really a wave in the medium. Interesting. How many billions must be spent before they begin to seek alternative answers. Although it is an endless supply of funding for faerie dust hunters. Do any of the #physicscranks have a testable hypothesis explaining galaxy rotation curves, gravitational lensing, and galaxy cluster dynamics other than particle dark matter? If not, then STFU and stop whining. We're testing particle dark matter as well as we can, and trying to come up with a testable extension to GRT as an alternative (so far with no more success than the particle dark matter experiments). That's all we can do. What the #physicscranks are doing is advocating doing nothing. And that's pretty stupid, I'd say. e/m waves are waves in the 'stuff' that fills 'empty' space that is displaced by visible matter. Particles of visible matter move through and displace the dark matter, causing it to wave. Maxwell's displacement current is the physical displacement of the dark matter. ...Maxwell's displacement current is the physical displacement of the dark matter. So that displaced dark matter is really electrical current? Am I in the right class? That's all we can do. What the #physicscranks are doing is advocating doing nothing. ......and why not "do nothing"? There's no reason to do something unless the 21st Century data can be FALSIFIED. The researchers in the below link proves the reverse of zany ideas that DM exists at the centers of galaxies. And that's pretty stupid, I'd say. Yeah, you want to say that again? The Michelson-Morley experiment did not disprove the aether. It provided evidence the notion of a stationary aether was incorrect. "The result of the hypothesis of a stationary ether is thus shown to be incorrect." (A. A. Michelson, Am. J. Sci, 122, 120 (1881))"
Theory fits observation just right. galaxy cluster dynamics other than particle dark matter? I am all for real science ILO the fanciful faerie tales of the plasma ignoramuses. All you are saying is that time-space are the reason for the existence of DM. LIGO observations would have detected any anomalies since it is in outer space. As for aether, it died too many times to come back from the dead. LIGO's looking for the wrong 'stuff'. If you want evidence of dark matter close to Earth then perform a double-slit experiment as it is the medium that waves. 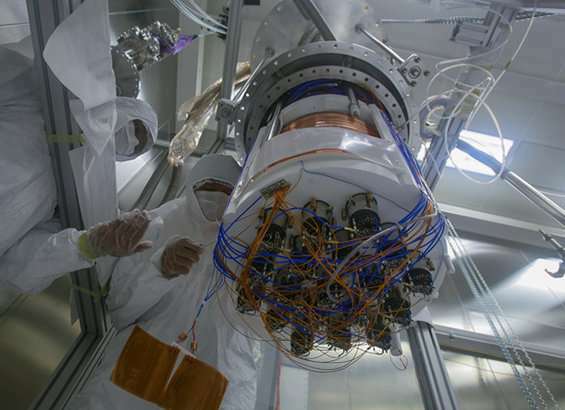 I don't think LIGO is looking for evidence of dark matter close to anything. LIGO is attempting to detect gravitational waves. Instead of trying to detect gravitational waves, which are waves in the dark matter, physicists should just perform a double-slit experiment as it is the dark matter that waves. ...and why not "do nothing"? There's no reason to do something unless the 21st Century data can be FALSIFIED. That's incorrect. Gathering more data to see whether a hypothesis can be substantiated is more important than falsification, since it can short-cut the process and save time and money. This is typical of #physicscranks; they're afraid of experiments that might have positive results. The researchers in the below link proves the reverse of zany ideas that DM exists at the centers of galaxies. Your evidence has nothing to do with your thesis. You're just throwing something out there to try to divert the conversation. Which is, as I said, stupid. Case in point? So is there something to fear about gravitational waves? Maybe the discovery of a new type of dark matter (LOL)? What would be wrong with that? Gravitational waves are waves in the dark matter. Dark matter is the medium for gravitational waves. The wave of wave-particle duality is also a wave in the dark matter. Dark matter is the medium for the wave of wave-particle duality. It's the same stuff that waves for both gravitational waves and the wave of wave-particle duality. Particles of ordinary matter causing the dark matter to wave relates general relativity and quantum mechanics. .........however, when it comes to substantiating the falsification of the existence of a massive black hole at the center of the galaxy, what do you do? You fall back on 19th Century TUG math in an attempt to create FALSIFICATION for what can't be OBSERVED in photo frame 7 in the above pictures (not drawings) of the exact center of the galaxy. Yeah, Schneibo, 19th Century aether, 19th Century Black Hole TUG math, 1930's zany Zwicky cosmic fairy dust (dark matter), all fantasies that have nothing to do with SCIENCE. Dark matter has filled many brains of those who have no idea what the real thing is and how it arises. Such a thing must be caused by an unknown disease that destroys consciousness, and awareness is the power to recognize truth and to find out the true causes of the phenomenon. Beware of this dangerous infectious disease. !! And you will become part of dark matter, if you believe that this miracle exists.